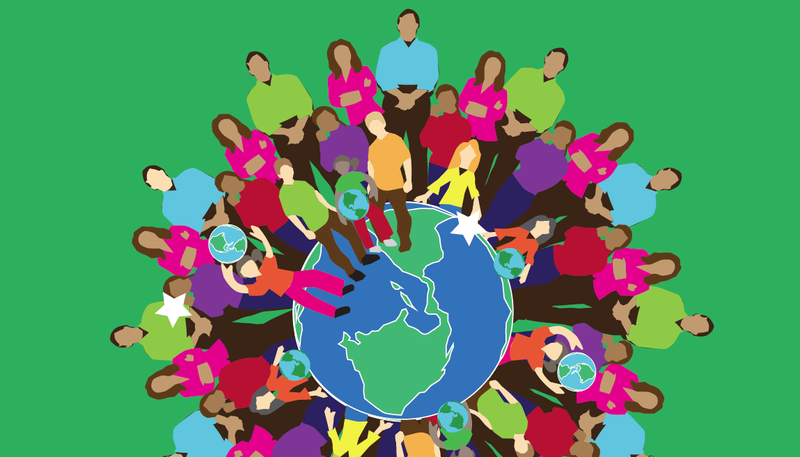 The Katy ISD Partners in Education program asked us to work with their team to design a themed campaign to promote their programs with print and digital imagery. 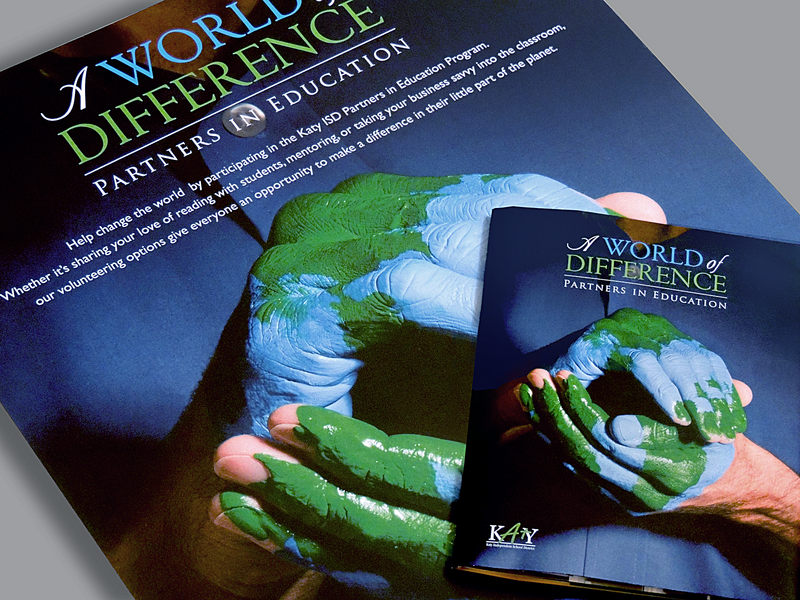 We developed a unique print brochure with a dust jacket that folded out to be a large poster that community business partners and schools could hang to inform the public of Partners in Education upcoming events. 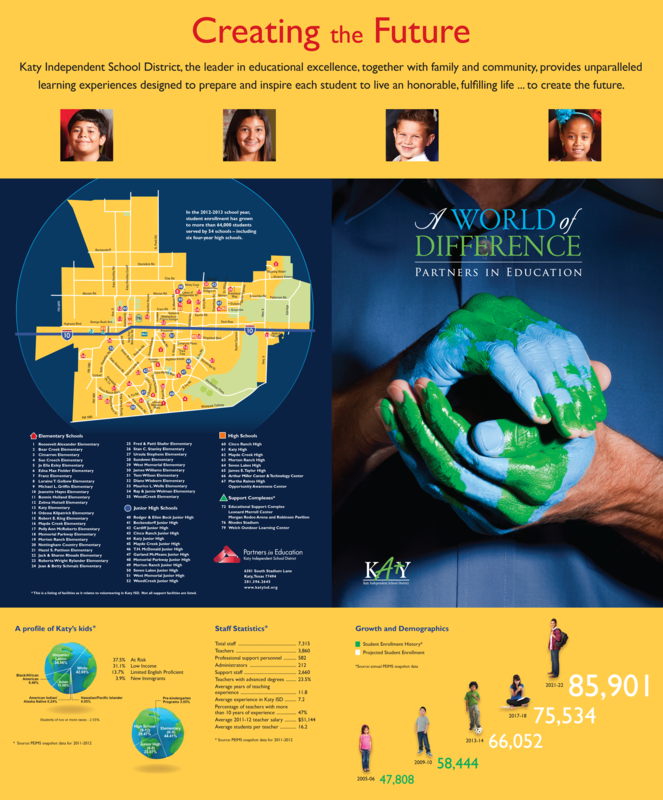 The back of the poster illustrated mapping of Katy ISD school locations and statistics of the district’s demographics. With the same imagery, we produced website templates, social media banners and school event invitations. This campaign was the most substantial project of the program to date, and the brochure received a Gold Star Award from the Texas School Public Relations Association.